The term onyx marble is a misnomer sometimes used to describe a rock made up of alternating layers of different colored calcite. The alternating bands closely resemble those that can form in onyx, however, onyx is a silicate mineral and calcite is a carbonate and their physical properties are dramatically different. cleavage, refractive index, birefringence (using distant vision method), specific gravity. Use birefrigence blink method. When banded and Translucent to opaque, the calcite variety is referred to as "onyx marble," although some disfavor this nomenclature. Misnomers: Oriental alabaster, Mexican onyx and California onyx. Type of limestone used for ornamental objects. 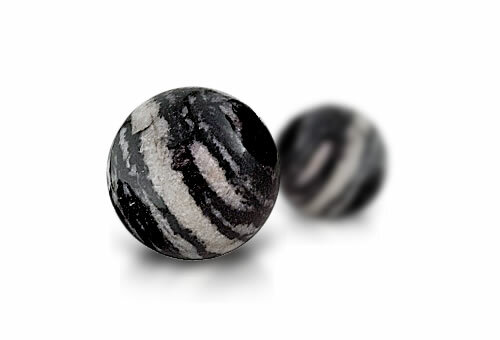 Onyx marble is a banded granular aggregate and is often dyed.